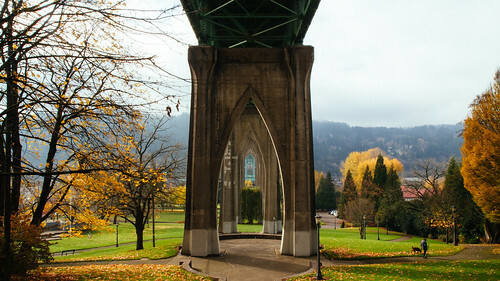 Cathedral Park in the Fall. It doesn't matter how often I come up here, the view is always spectacular. 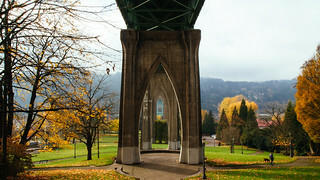 Cathedral Park, Under the St John's Bridge, Portland, Oregon.